Many films are based off of a true story. But then there are other films, such as "Operation Finale," that are based off of stories that changed the course of human history as we know it. In this case, the film depicts the covert operations that involved the capture of Adolf Eichmann, one of the chief architects of the Holocaust. 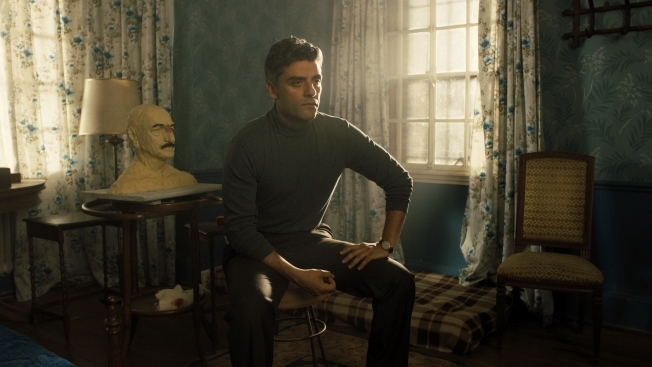 Directed by Chris Weitz, the film stars Oscar-winner Sir Ben Kingsley as Eichmann and Oscar Isaac as leader of the top secret team whose members risked their lives to capture the elusive Nazi 15 years after the end of World War II. The story was deeply personal for Weitz, whose father was a German-Jewish immigrant who'd been sent away when Hitler was appointed chancellor and subsequently raised in Britain. "People would rather forget unpleasant things that happen in history. Movies are a tremendously good way or reminding people," says Weitz. "It starts with very small steps down the road towards hating 'the other' and disabling democracy and worshiping an authoritarian. That's what happened in Europe in the 1930s and 1940s. It wasn't a unique event unfortunately." Isaac, who's also known to a new generation of "Star Wars" fans as Poe Dameron, says he was instantly fascinated with the project because of its historical significance. "When Eichmann was finally brought to justice, it signaled the end of an era. The event became a symbol - a weighted symbol," he says. Adds Kingsley, "I felt compelled to portray (Eichmann) because, as filmmakers, we have the potential to reach millions. It is our duty and our calling to tell a generation of viewers, 'Yes, this did happen.'" "Operation Finale" hits theaters on Aug 29.